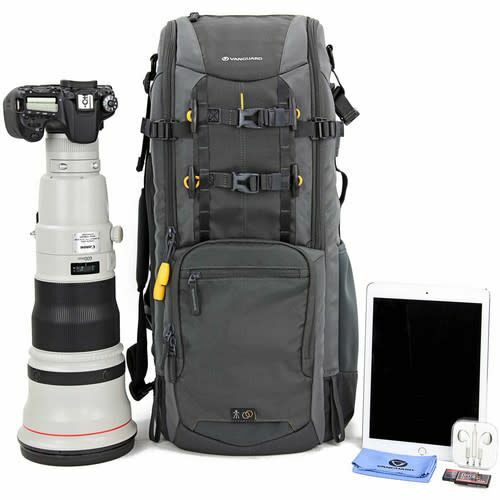 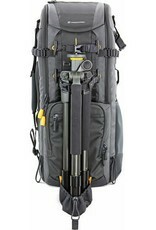 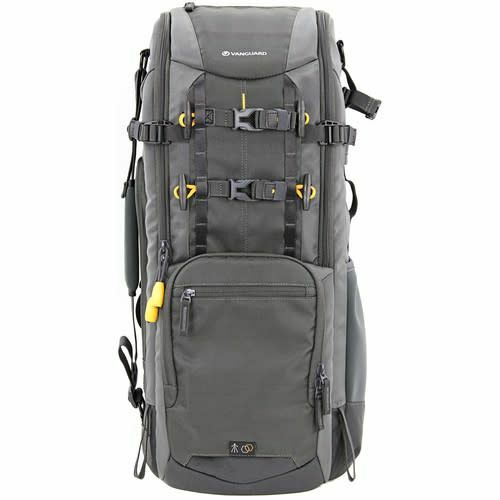 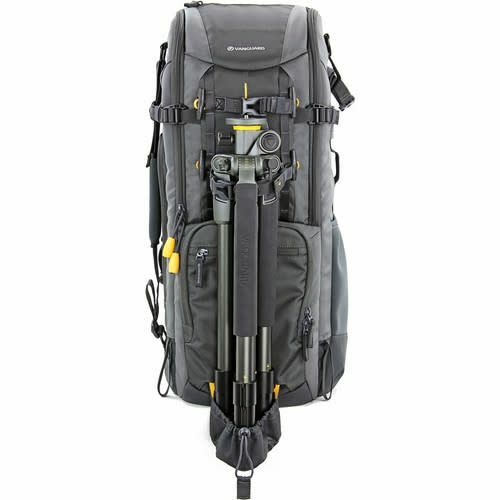 Store, protect, and transport a pro DSLR, 600 f/4 lens, or a select 800mm f/5.6 lens and related accessories with the dark gray Alta Sky 66 Camera Backpack from Vanguard. 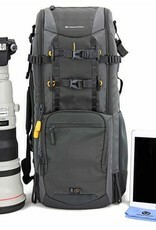 Inside the backpack is a padded sleeve for an up to 9" laptop or tablet. 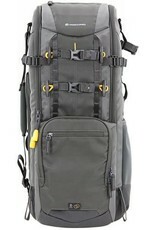 This pack features interior and exterior pockets, and large water bottle side pockets. 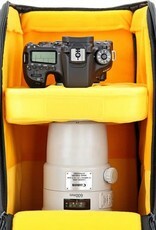 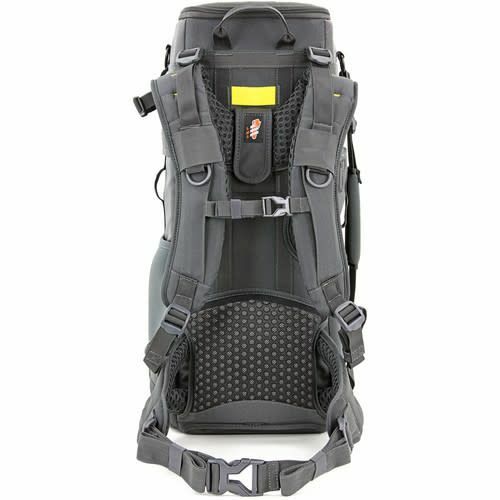 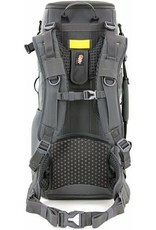 Locating gear in low light is easier thanks to the bright yellow interior lining and padded, touch-fastening cradle. 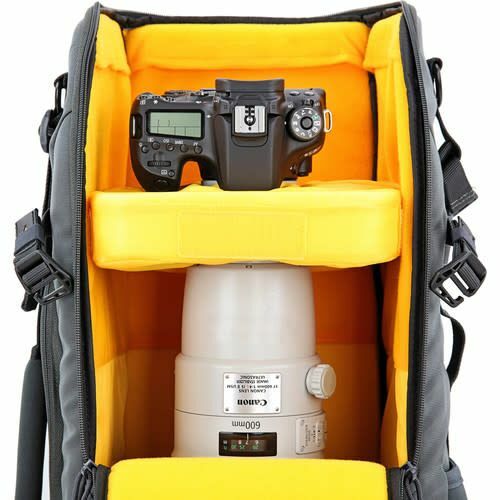 An adjustable, thick, sturdy, and well-padded cradle supports the camera body from bellow and secures the large lens in position, while making sure it is well protected all around the delicate connection point.